which are most comfortable, most sturdy, and preferred by therapists! Stationary massage tables are perfect for therapists who know that they will only be practicing in an office setting and not doing any out-calls. It is the most important massage therapy product a new therapist will purchase for his/her practice. The best thing about a stationary table is it's sturdiness. Sometimes a portable table can make a client feel uneasy or unstable with movement, especially if the client is a large person. 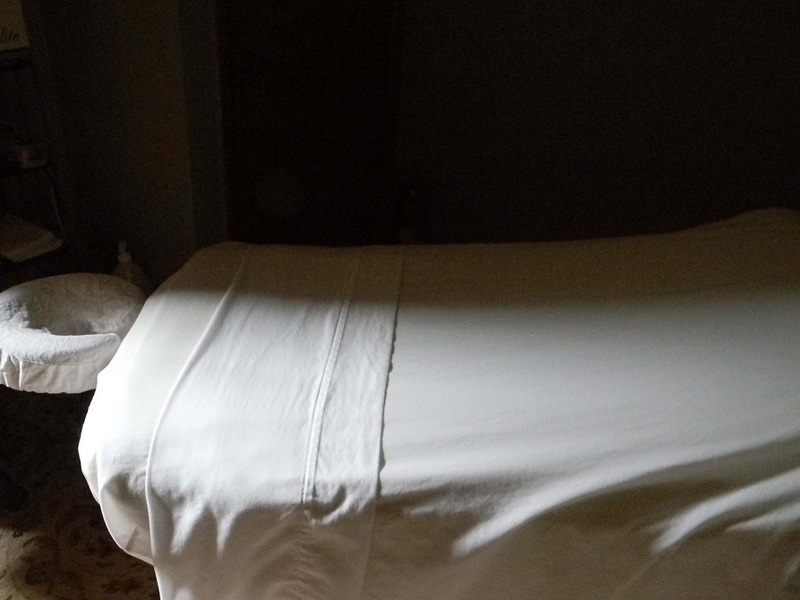 Many massage therapist jobs are in spas, clinics, or clinical offices that already have stationary tables in each treatment room, which is a positive advantage for many who choose massage services in these locations. The table will often feature a full length cabinet or shelf underneath (great for storage and easy access to supplies) and some include a fully adjustable tilt top. Comfort is the main advantage of these tables, it's the most positive feature. Your clients will love the thicker, more plush padding that is often topped with luxury vinyl. Many have rounded corners and deluxe face cradles. Many massage tables are made from products that are environmentally friendly and do not harm the environmental resources during the production process. Stationary tables were the only type of massage table that was made 30 years ago, as spas and private offices were typically where clients went for massage therapy. Portable massage tables are in more demand now because practitioners often have mobile massage therapist jobs at some point in their career, in addition to an office or private practice. However, by choosing a stationary table, you can have a great combination of style, comfort, and performance for your clients. They are more expensive than portable massage tables, but, depending on the brand and model, not by much. Prices range between $500- $5000 depending on the brand, features and warranty of the table. On the negative side, stationary tables are of a fixed length and width and can’t be changed according to the client’s body size. On average, they can weigh about 150-200 pounds, much more than portable table. The length is typically 72 inches and the width is usually 27-30 inches. dollars to get a good quality table. Most often, they can hold more weight than a traditional portable table, up to 500 lbs or more. Read more about how Earthlite Massage tables are the table of choice for Atlanta School of Massage. The hardwood construction makes stationary massage tables stable and durable, leaving your client feeling much more relaxed from the very beginning, even before you enter the room.